This day was the day I could see my friends! It was very last minute and most everyone had work so I couldn't spend much time with anyone as I barely had any time at all here in Utah! 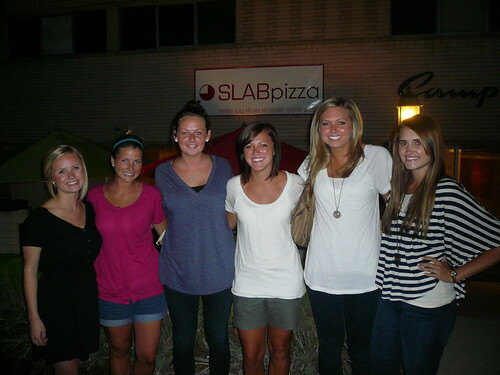 After I visited with Amanda in Salt Lake I drove down to Provo to see a few friends who had a little free time. 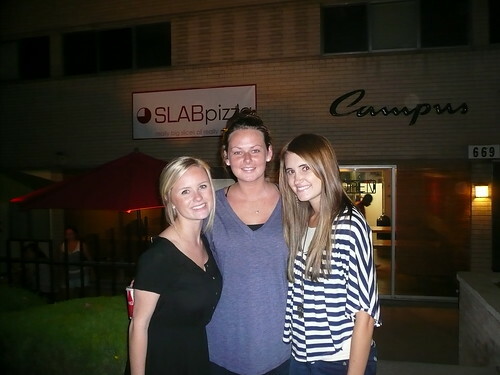 I went to Shayla's apartment and we hung out and ended up eating dinner at Slab Pizza which is a little pizzeria right south of BYU's campus. 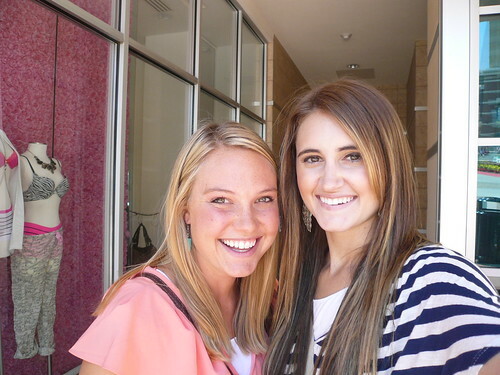 Here is Ani Van Buskirk & Shayla Forsey...both Marketing majors with me at BYU! All the girls who went! 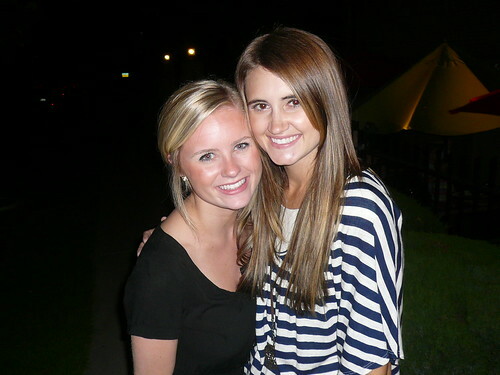 Rachel was in Marketing and then switched to Finance but we had a few classes together! After dinner I hung out with my friend Chantell Perry and then hung out a little more at Shayla's apartment for the evening. See the Welcome to Colorado sign? That concludes my Utah few day visit! Stay tuned as we will be having a giveaway soon! A lot of you are...I miss Utah! how fun to catch up with old friends. i love the gateway...so fun to walk around and shop there. your pics look awesome. I love your drive home pics! how much fun is that? I love hanging out with friends!! I miss them... about 3 of my good friend live out of town and the other 3 are here in town, but I rarely ever see them ): All of you are so gorgeous too!! I love utah. :) So glad you had fun! And I'm excited to see the giveaway! I like your funny story. :] I have stories like that with my husband that no one else seems to see the humor in the except us. Oh well. They are fun to laugh about! 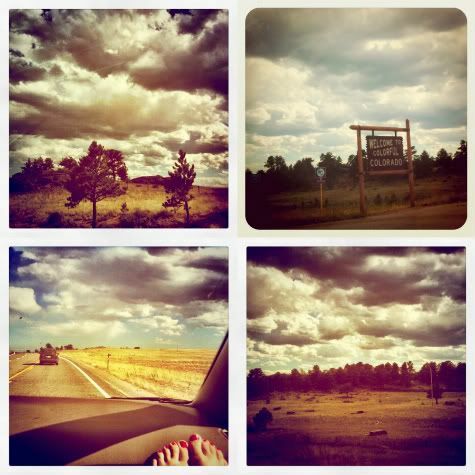 Also, those pictures of Colorado are GORGEOUS and it looks like your quick trip was a blast! I do love Utah! Never lived there but have been there every year of my life to visit family & friends. My favorite memory is visiting Temple Square at Christmas. Magical, Stunning, Wonderful. And of course let's you truly experience & feel the real meaning of Christmas. I seriously thought I followed your blog like, MONTHS ago. GUess I was wrong! boo! well, I fixed that! Glad I re-found you! Bloggers named Ashley, unite!! ohhhhh looks like a great time to me! :) glad you had fun! It was sooo fun seeing you while you were out here!! Let me know when you are out here next, so we can do dinner again!!! You know I am from UT! 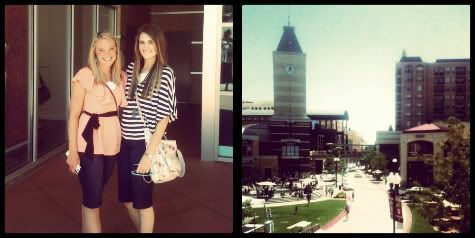 :) Glad you had a great time and I love Gateway - fun shopping there.